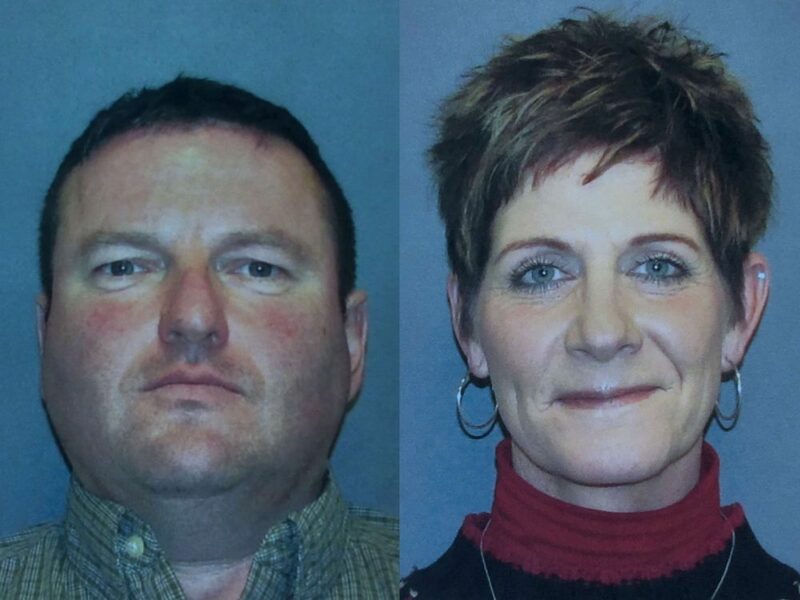 The Dakota County Attorney’s Office has filed additional criminal charges against Doug and Gina Dahlen for their involvement in the disappearance of two sisters from Lakeville. Four additional felony charges of deprivation of parental rights have been filed against the Dahlens, who have now been charged with a total of six felony counts for their role in the disappearance of Samantha and Gianna Rucki. 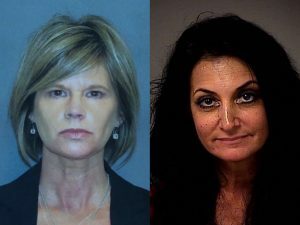 The girls disappeared on April 19, 2013, during a custody and divorce dispute involving their parents. 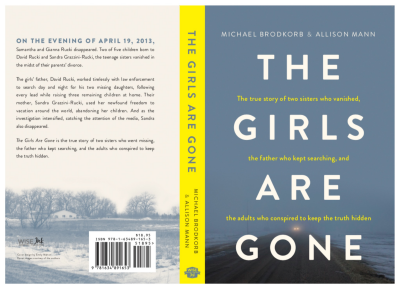 On November 18, 2015 – 944 days after they disappeared – the girls were found living on the Dahlens’ ranch in northern Minnesota by law enforcement, headed by the Lakeville Police Department. 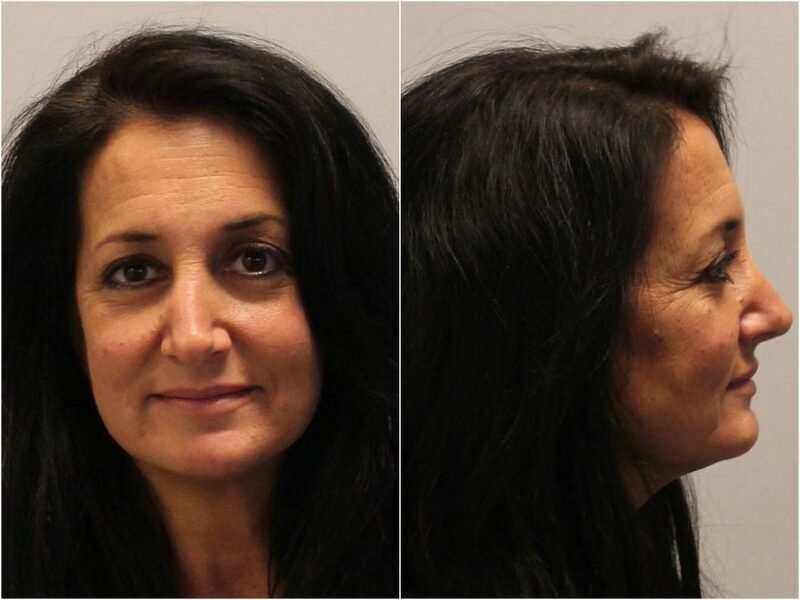 According to the amended criminal complaints, Samantha and Gianna Rucki were delivered to the Dahlen’s residence at the White Horse Ranch in northern Minnesota on April 21, 2013, by the girls’ mother, Sandra Grazzini-Rucki and her friend, Dede Evavold. 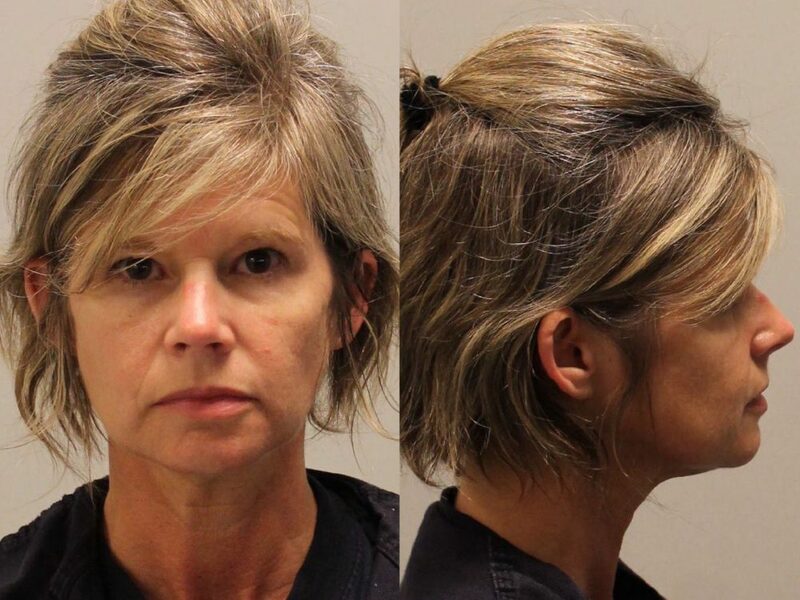 Dede Evavold was sentenced today in Dakota County to serve 180 days in jail and she will remain on probation for the next eight years for her role in the disappearance of two sisters from Lakeville. 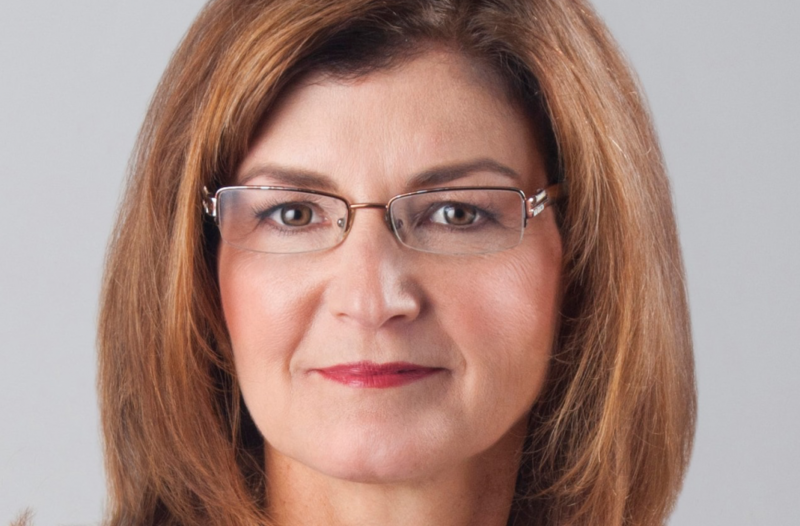 Just days before the election, Judge Jessica A. Palmer-Denig has ordered there is probable cause to believe Michelle MacDonald violated the Minnesota Fair Campaign Practices Act by falsely claiming her current campaign for the Minnesota Supreme Court had received the endorsement of the Republican Party of Minnesota. 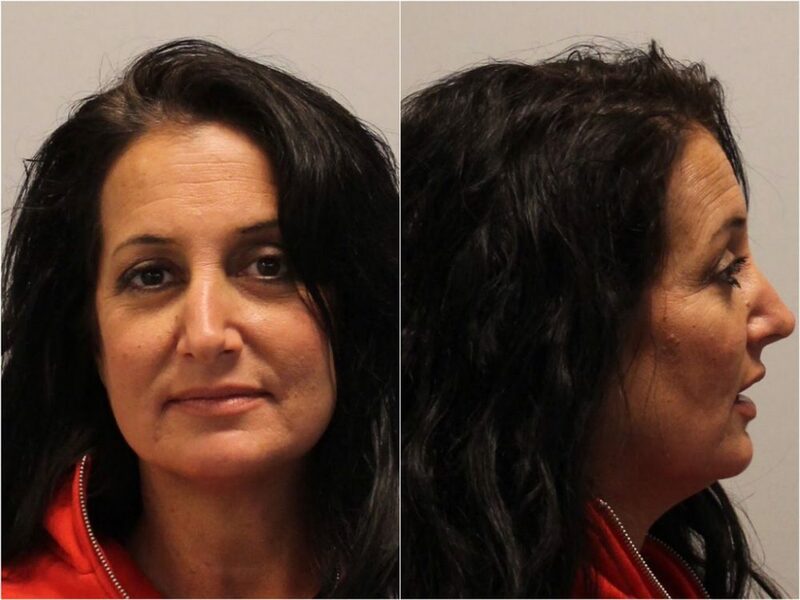 Grazzini-Rucki was released from jail last week, finishing the first portion of her jail sentence which will continue over the next six years. 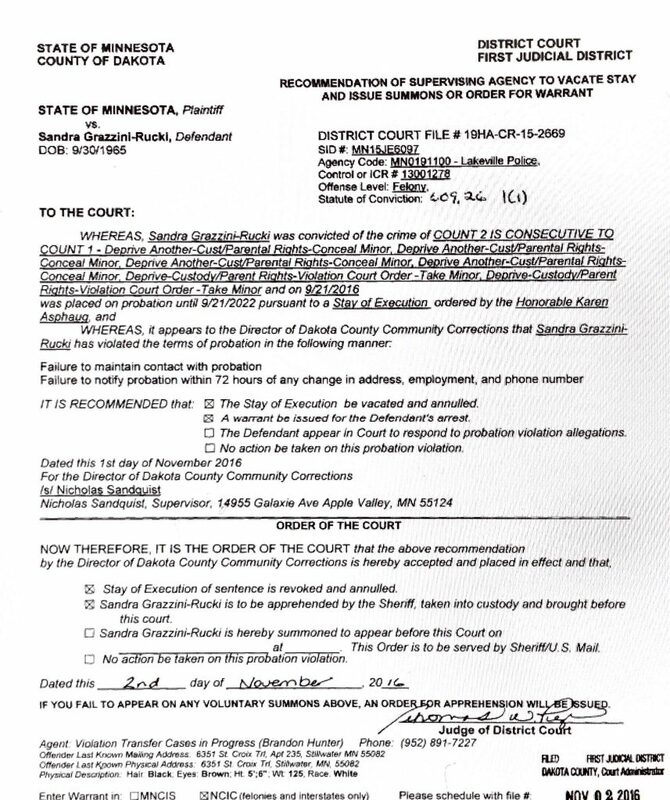 Below is the order from Dakota County granting the request for a warrant to be issued for Grazzini-Rucki’s arrest.